Sydney Water and the Advanced Condition Assessment and Pipe Failure Prediction Project have won the prestigious International Water Association 2016 Project Innovation Award in the Applied Research category. The award was presented as part of the International World Water Congress & Exhibition at a gala dinner on Wednesday 12th October 2016 at Rydges in Brisbane. 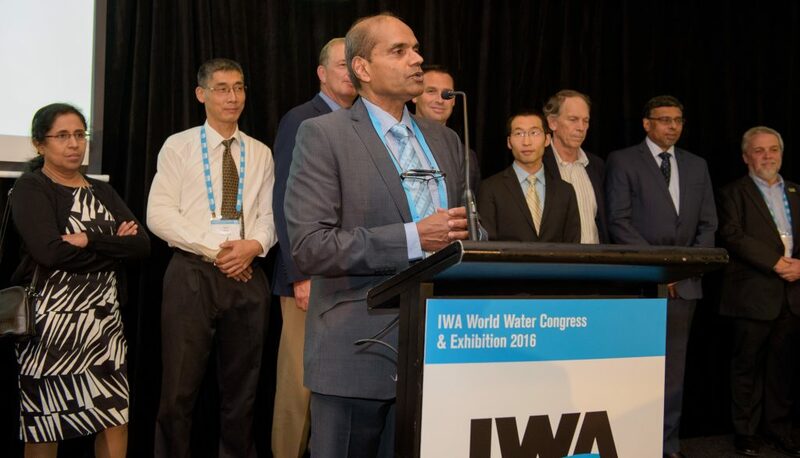 The photograph shows Dammika Vitanage of Sydney Water making his acceptance speech supported by members of the Sydney Water and Project teams. Congratulations to all!